Mahindra Namibia announced last week that it will soon introduce the much-anticipated Mahindra XUV300 in various configurations to its local showrooms. 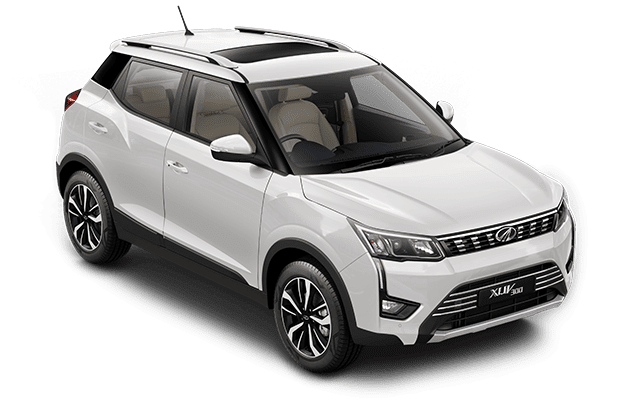 The XUV300 is powered by a 1.2-litre three-cylinder petrol engine and a 1.5-litre four-cylinder diesel engine with six-speed manual transmission. According to the Sales Manager at Mahindra Namibia, Esther Leoni, the new vehicles are expected to enter the local market by mid-June, but she is not yet certain sure about the prices of each vehicle model but guaranteed that the compact Sport-Utility Vehicles will cost less than N$300 000. “We are very excited about this product range, as it ticks all the boxes and is in a fantastic price bracket,” says Leoni. She teased that the XUV300 is a beautiful vehicle that will be awe-inspiring for Namibian and promised to share more details at the later stage. The Mahindra XUV300 is a compact Sport-Utility Vehicle (SUV) produced by the Indian automaker Mahindra. It is based on X100 platform of SsangYong Tivoli Motor Company and was launched in the Indian market in February this year. The car is expected to enter the South African market this month. Mahindra is slotting it in the same segment as their TUV300 to rival competitors such as the Maruti Suzuki Vitara Brezza, Tata Nexon and Ford Ecosport. The XUV300 was initially codenamed as S201. Based on European spec Ssangyong Tivoli, it underwent major modifications to suit Indian roads as well as the strenuous African conditions. 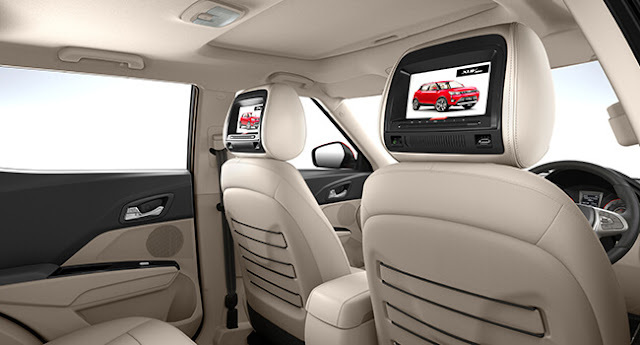 Touch TFT LCD Monitor with in-built DVD Player - Touch screen interface for convenient control - Headrest Hide-away covers - DVD / SD Card reader - AV Input / Output - Full functional wireless. The SUV was wind tunnel tested at the Pininfarina facility in Italy. Mahindra officially revealed the name of XUV300 in December last year. The new SUV is wider and taller than the Tivoli’s dimensions but is made shorter than the counterpart to fit into the sub-four-meter segment. It also resembles its sibling XUV500 in looks with similar projector headlamps and DRLs, front grille and the wheel arches. The XUV300 promises not just the most fun-to-drive performance in the segment, but also first-in-class hi-tech features and even best-in-class safety. Its seven airbags are the highest number offered on any five-seater, not just in the compact SUV segment, but also in the mid-sized sedan segment. South African Wheels24 reported that the XUV300 segment boasts features such as Dual-zone Fully Automatic Climate Control and Front Parking Sensors which have been described as thoughtful new features keeping consumer expectations in mind. According to their report, the XUV300 will offer an exciting and unbeatable combination of head-turning and cheetah-inspired design, ‘fun-to-drive’ performance, first-in-class hi-tech features, best-in-class safety, and class-defining interiors. The XUV300 will offer more fun when driving and has maximum protection with its features designed as extraordinary. With its head-turning, cheetah-inspired design, the XUV300‘s headlights integrate with the fog lamps forming a Cheetah-like tear-duct, while the pronounced wheel arches are inspired from the muscular haunches of the Cheetah. Its modern grille, sculpted bonnet, pronounced shoulder and body lines, along with its elevated stance, give the XUV300 a bold and charismatic road presence. Offering fun-to-drive performance, the XUV300 will debut with both petrol and diesel engine options and will deliver thrilling, fun-to-drive performance. The new model will offer segment-leading torque of 300Nm for the 1.5-litre Diesel engine; 200Nm for the 1.2-litre Petrol engine. Talking about best-in-class safety, the XUV300 will be the first compact SUV to offer seven airbags, including a knee airbag for the driver, ensuring complete safety for all the occupants. The XUV300 will also offer disc brakes on all four wheels as standard on all variants. The XUV300 will also offer best-in-class width and the longest wheelbase creating ample space inside its cabin to comfortably seat five adults. The XUV300’s premium leather seats, stylish dual-tone dashboard and an electric sunroof, make the in-cabin experience exciting and comfortable. Its features like airbags, ABS, and Disc Brakes on all four wheels, LED tail lights, all four power windows, will be standard across all variants. In addition, the XUV300 will also come with an option pack variant which will have additional technology and safety features.